Beginning on February-1-2016 and after some delays the first installation of the FUBAR league is finally upon us. The format will be round robin, so each team will play each team once with the focus on games being played live (If both teams would prefer to play in async mode or aren't able to coordinate to be online at the same times then async is fine, but where at all possible if we can try and play live mode). It seems to enable more teamwork in live mode due to being able to discuss tactics in real-time. 3 points for a win, 1 point for a draw and 0 for losing. In the event of level league positions, joint positions will be decided by who was the victor between the tied teams. There will be no final at the end of this season, the team finishing in first place after all matches being played will be crowned "Fubar #1 Champions"
I'm using the website Challonge.com for recording the results. Game data can be viewed anytime at http://challonge.com/2016FUBAR1. The website lists the matches in Round 1-5 order but this is just how the site prefers to display the games, please play in which ever order is easiest to coordinate with other teams! To ensure I can update the league table if the responsibility for reporting the match results back to this forum can fall upon one of the members of the winning team that would help me a lot. Thanks. I hope I didn't miss anything. Feel free to ask if I did! Last of all GL & HF! Last edited by stubar on Thu Feb 04, 2016 9:54 pm, edited 3 times in total. MattyRasker wrote: Let the games begin! I'm thinking we could start matches today with it being a Sunday and all. I am usually available between 6 and 9pm UK time on weeknights. Friday is a good night for me as I don't work on Saturday (hence Friday Night Chaos). I am open to asynch if people need it but would prefer live. 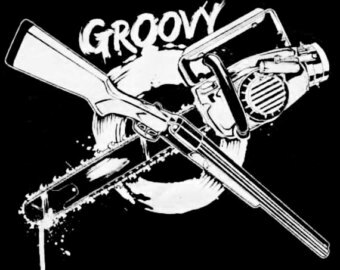 Be Groovy Team Boomstick!, be Groovy! I'm usually free every evening from 20:30 UK time. Matty decided to melee my dragon at a 15% chance and killed it... He had a turmoil on the backburner which he has but failed. I rubbed my hands together with him standing 2 hexes away and brandishing a magic sword!! I cast a fully boosted raise dead on the recently departed dragon which failed. No problem, taste this sword Matty!! That failed too... Matty's melee back then failed on me, so it looked like I was gonna get another swipe at him, but this time with a potential second magic sword. Sadly Mostyn's Hellhound managed to paralyse me at a 27% chance and left me sitting, waiting for a smack over the head with the knobbly end of a staff. After that Trigz was left to retreat to the edge of the map as two armies advanced towards him! I don't really "hang out" online, so if people want to play me live, probably best to PM me and we'll arrange sthing in advance. Tonight is a good night for a game against gary and I if anyone is up for it?